SYKES Academy is an intensive non-profit English program that offers training courses to people who apply for a job at SYKES and need to improve their English skills (oral, written, grammar, listening) in order to become eligible. This program is designed exclusively for those applicants who already have a good English level (80%) but need training to reach the minimum proficiency requirements. Applicants for the SYKES Academy Program need to have an 80% English level, High School Diploma and also to be at least 18 years old. After applying for it, a recruiter will contact you and guide you through the interview process. Your English proficiency will be evaluated through oral, reading comprehension, and grammar tests. What Will I Learn in SYKES ACADEMY? Even when your English level is proficient, you may need to reinforce specific English skills required to work at a Contact Center. Students are 100% guaranteed to have fun while learning, active learning environment, and student-centered classes. Classes are delivered by competent and committed English Specialists who will provide personalized feedback to students during the entire program with the purpose of focusing and improving their areas of opportunity. SYKES Academy it’s free of charge! Our program is only offered to candidates with advanced English that do not yet meet the required level for the job but do meet all the other requirements. This four-week course is delivered from Monday through Friday (4 hours of class per day). • Customized feedback and action plans to ensure students’ individual improvement. Morning Class: 6 a.m. to 10 p.m. / 10 a.m. to 2 p.m. Afternoon Class: 2 p.m. to 6 p.m.
During the job interview, we will evaluate your English with oral, reading comprehension, and grammar tests. If you attain between 80% and 84% you may become eligible for SYKES Academy. 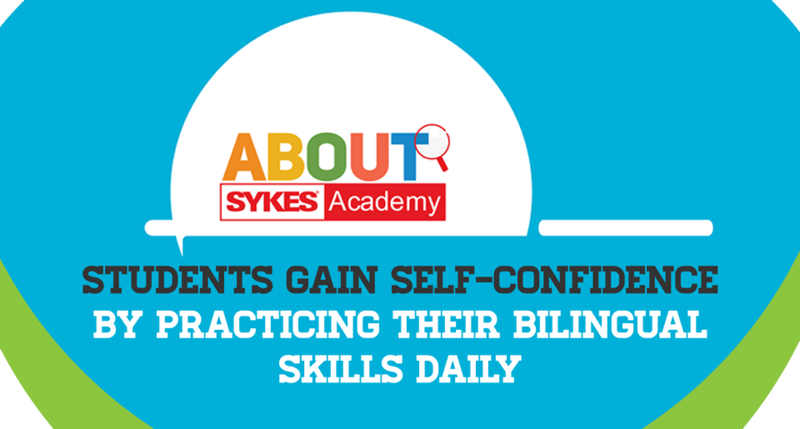 In SYKES Academy we will increase your level of English in only four weeks, as long as you put your best effort and apply the techniques we share with you! We will help you achieve the English level required to be part of an English Account, and moreover, to be part of a multinational company like SYKES.